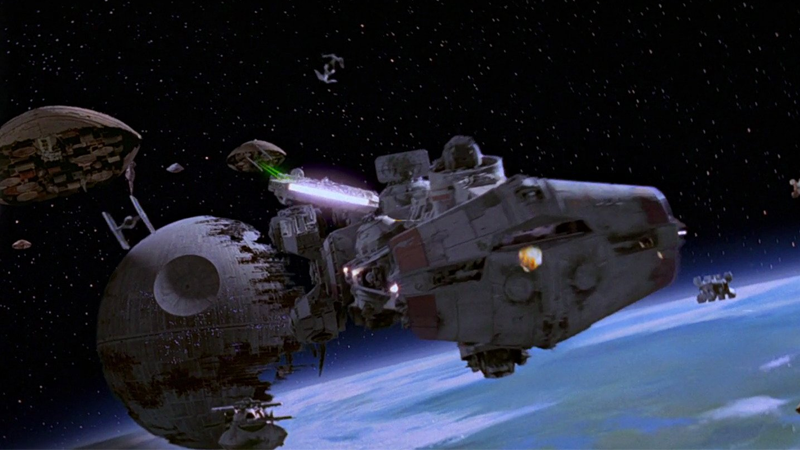 Blink during the Battle of Endor, and you might miss this sneaky piece of Star Wars history. When you think of Rebel Alliance capital ships, your mind probably turns to things like the Mon Calamari Star Cruiser, or the Nebulon-B Frigate, or even smaller cruisers like the “Blockade Runner” Corellian Corvette. But even most Star Wars diehards probably can’t recall the Braha’tok-class Dornean gunship—they might even dismiss it as a weird product of Expanded Universe-based embellishment. But the Braha’tok is actually straight out of the movies. It debuted on-screen 36 years ago in Return of the Jedi, making blink-and-you’ll-miss-it appearances in the Battle of Endor sequences. And in some ways, it was meant to be forgotten. As this delightful Twitter thread from @Spaceshipsporn over the weekend points, out, the Braha’tok was a last minute model made for Return of the Jedi’s space battle by ILM modeler Bill George. A “kitbash” model mostly built out of spare parts from other model kits kept for pieces at ILM, the ship is almost unlike any of the other Rebel designs seen in the movie, with its odd frame and peculiar “spoilers.” Built in a rush and barely seen, it quickly left the mind of both its creator and most Star Wars fans. Not everyone forgot—the Braha’tok lived on in fanworks and EU mentions here and there, as the above thread notes. But in recent years with Star Wars material resurgent (thanks to Disney’s acquisition and rapid re-expansion of the franchise), the Braha’tok has had a second life. 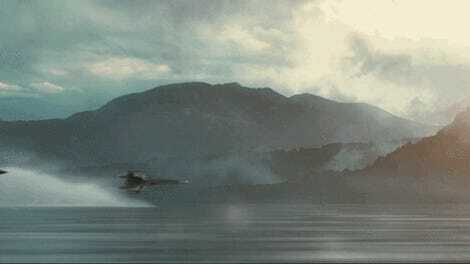 It’s grown from getting namedrops in novels like Lost Stars and Battlefront: Twilight Company, to getting screentime in both Star Wars Rebels and Rogue One: A Star Wars Story, cementing it as a longtime cornerstone of the Rebel Fleet. We may not remember it as well as its sister ships, but the Braha’tok’s long roots have finally begun to flourish, nearly four decades after its debut. The Braha’tok-class appearing above Scarif in Rogue One. There’s actually two here—one on its own in the bottom right, and you can see another from the rear, to the left of the Star Destroyer. It’s worth clicking through and reading the whole thread—and reminding yourself of an oft-forgotten part of the galaxy far, far away.